In the global age there are increasing numbers of long-distance relationships, bi-national couples, marriage migrants, foreign domestic workers and fertility tourists. What are their common characteristics? Professor Ulrich Beck follows up on his (and his wife’s) earlier book The Normal Chaos of Love and looks at contemporary romantic relationships from a global, and globalised/cosmopolitan perspective. Excellent low budget short about, well, lots of things. Particularly friendship I guess. Zach decides to move out, his roommate Andy tries to set up a new life without his best friend. Highly recommended. Programmer’s Note: Filmmaker Nick Paley found the simplicity of his newest venture “Andy and Zach” both a blessing and a curse. “From a producer’s perspective, it was very straightforward compared with some of my previous projects. I shot the interior scenes myself, in my own apartment, with two close friends as the leads,” says Paley. “From a director’s perspective, it was the hardest movie I’ve made so far. Its success depended entirely on performance and story. The finished film has very little in the way of spectacle…unless you call Christmas lights spectacle, in which case this movie is your summer blockbuster.” Paley, who cast his friends Zach Woods (“The Office”) and Andy Kachor in the titular roles, grew up in Vermont but graduated from NYU and has been living his life as an NYC filmmaker since. “Andy and Zach” rides a fine line of being quite sweet without ever turning sappy, and the heartfelt film about friendship doesn’t need a surplus of T&A Apatow-esque jokes to appeal to a male crowd. Up next for Paley? Both a feature script to shop around and a new short, “Open House,” which takes place outside the walls of his apartment. John Moriarty: Prometheus and the Dolphin, Dublin, 2003. John Moriarty (2 February 1938 – 1 June 2007) was an Irish writer and philosopher. This hour-long talk could conceivably be called “queerer than we can suppose”, as it is a poetic and mystical meditation on the strangeness of the universe (if we can call it that); the wonder and danger that is mankind; on stories; on literature; on technology, and much else besides. It is a talk that is particularly concerned with the disjuncture between the world and our scientific knowing of it. And the human need for humility in this regard. More info available here. CFP: 10th Annual International Social Theory Consortium meeting, UCC. Social theory and method are inextricably bound up with one another, despite the convention of their separation and a recent tendency to differentiate them entirely by emphasizing technical training in particular methods over general education in culture and thinking. But to theorize, whether in Sociology, Philosophy, Politics, Anthropology, or in any cognate field in the Arts, Humanities and Social sciences means not simply to arrange empirical evidence, but also to seek to clarify the Ideals, Standards or Measure by virtue of a way of inquiry that is sustained and methodically pursued, so much so that we may speak of method(s) of theorizing. Questions of method, or searches for the ‘Way’, just as the use of the powers of reason, cannot be reduced to a search for means to satisfy given ends, but must incorporate a discussion of the very ends of social and human life, including the question of meaning. Methods of theorizing are thus ways of attending to the world so as to bring into view, contemplate and articulate Standards of beauty, truth and the good life; radiant Ideals that illuminate and make possible an understanding and interpretation of our present practices and institutions, thereby enabling our education and self-transformation in light of such a Measure. As Weber concludes in ‘Politics as a Vocation’ “all historical experience confirms the truth – that man would not have attained the possible unless time and again he had reached out for the impossible.” Theorizing can thus be conceived of as the methodical reaching out for the impossible Measure. But as theoria and methodus have become differentiated we lose sight of the Ways towards recovering our Ideals just at a time when economic crisis, ecological catastrophe and political turmoil threaten to overwhelm us. Last year’s ISTC meeting sought to transcend the cultural turn’s differentiation & proliferation of Habermasian, Foucaulian, Eliasian, subaltern, feminist, sub-disciplinary theories, a concern indicating an aspiration towards our recovering re-integrating, holistic methods of theorizing. This year’s conference continues this search for renaissance, inviting contributions seeking a reflective balance and harmony amongst the various currents in social & political thought at the fundamental level of theory and method, focus on their relation to the elusive but very real directive Ideals of human existence. How does human society differ from that of other social animals? How is it possible that there can be an objective reality of such things as money, property, government, marriage, and universities, even though such things exist only because we believe they exist? What is the role of language in constituting human reality, and what is language anyhow? 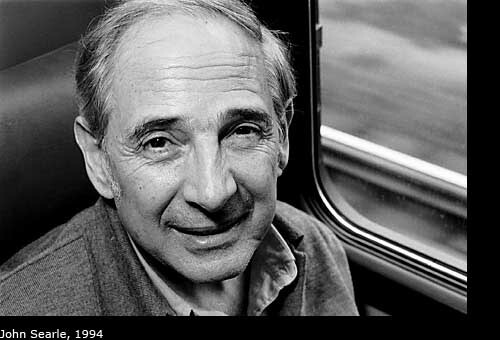 These and other related questions are addressed by Prof. John R. Searle as part of his course in the philosophy of society. The lectures, here, are part of his course at UC Berkeley. They were recorded during the fall semester of 2010.. The course deals with the foundations of the social sciences and the differences between social science explanations and natural science explanations. They cover a large number of topics such as these: Why is the nation state such a powerful form of social organization? Why did socialism fail? Are there human rights, and if so what are they and where do they come from? You are not so smart!